Producer Jack - who recently split from 'Girls' star Lena Dunham - then fired back: "Come on!" Lorde added: "I know that." And then Jack fumed: "No, hold on we are raising a sh*t tonne of money, f*ck that negativity." He continued: "We are going to play another song, do you know where they are nice? Right here." Earlier this month, the New Zealand native was branded a "bigot" by rabbi Shmuley Boteach in a full-page advert in the Washington Post, for axing her planned performance in Tel Aviv, as part of her 'Melodrama World Tour' on June 5. The 'Royals' singer received "an overwhelming number of messages" calling for her to call off the show due to the ongoing cultural boycott of the country - which comes as a protest against the Israeli government's policies, occupation of Palestine, and treatment of the Palestinian people. 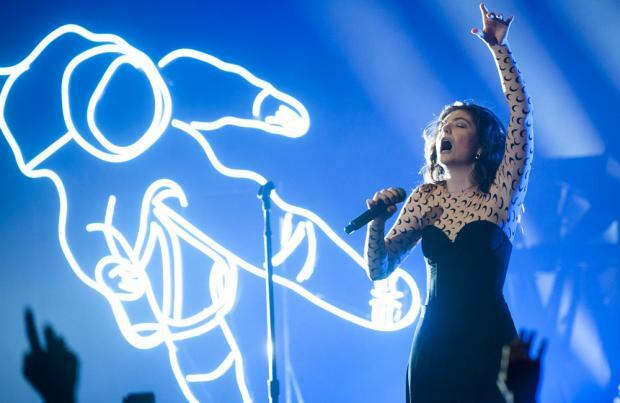 Lorde said in a statement that it was her "dream" to visit the city , and apologised to fans in the country who have been left disappointed by her decision. She wrote: "tel aviv, it's been a dream of mine to visit this beautiful part of the world for many years, and i'm truly sorry to reverse my commitment to come play for you. i hope one day we can all dance. L x (sic)"
It comes after the 'Royals' hitmaker previously told fans she was "considering all options" when it came to the proposed show. After one fan shared an open letter asking her to cancel the gig, Lorde responded on Twitter last week: "Noted! Been speaking w many people about this and considering all options. Thank u for educating me i am learning all the time too (sic)"